Valencia Center for Women's Health Michelle Uaje, MD, F.A.C.O.G. 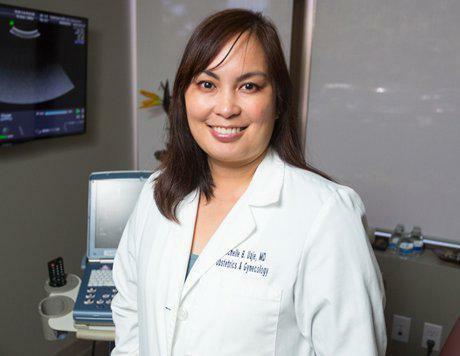 At Valencia Center for Women’s Health, Dr. Michelle Uaje is a leading provider of obstetrics and gynecological medicine for women throughout Santa Clarita Valley area. At the Valencia, California location patients can receive services such as genetic counseling, gynecological cancers screening, fetal testing, family planning, 4D/3D ultrasounds, laparoscopic surgery, minimally invasive procedures, hysteroscopy, and pelvic reconstruction as well as care for urinary incontinence, infertility, menopause, and osteoporosis. Dr. Uaje obtained her medical degree from the University of California at Irvine, and she completed her residency in obstetrics and gynecology at Kaiser Permanente in Santa Clara, during which she served as chief resident. Dr. Uaje is a concerned and capable OB/GYN, who serves the community and provides the utmost care to each person. She is certified by the American Board of Obstetrics and Gynecology and holds memberships in the American College of Obstetricians and Gynecologists and the American Association of Gynecologic Laparoscopists. Dr. Uaje received awards from Kaiser Permanente and the University of California at Irvine for her mentorship efforts. She has also served as an Associate Physician at the Southern California Permanente Medical Group. Dr. Uaje is devoted to ensuring that patients’ health continues to improve and maintain optimal states. 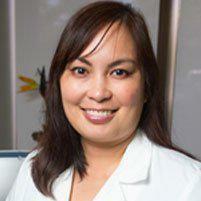 She is also passionate about developing long-lasting relationships with each and every one of her patients. Dr. Uaje works to take her time with patients so she can fully understand their symptoms and give accurate diagnoses to ensure the ongoing health of all her patients. Patients can visit Dr. Uaje for a wide array of reasons including pregnancy, breast cancer screening, fibroids, pap smears, and abdominal pain. Valencia Center for Women’s Health and Dr. Uaje welcome all new patients to the practice, where most major forms of insurance are accepted.